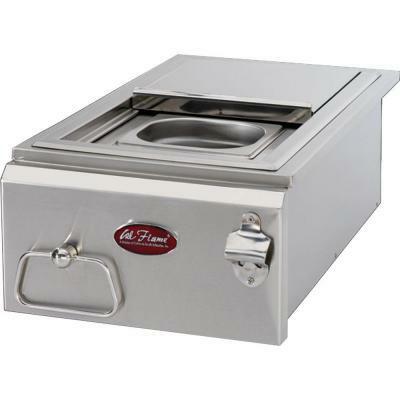 Keep ice in the outdoor kitchen cold with a drop-in 12 in. 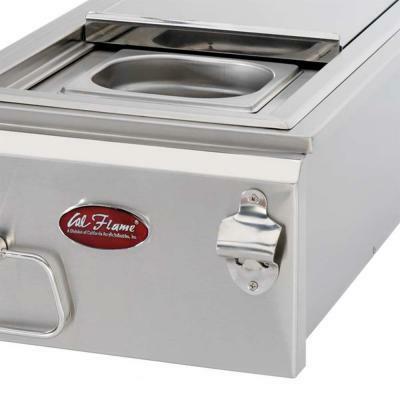 Stainless Steel Cooler and Cocktail Center from Cal Flame. A single condiment tray can keep favorite garnishes chilled and fresh for guests. A towel rack and bottle opener makes tending bar a tidy task. See downloadable pdf installation measurements under more info.